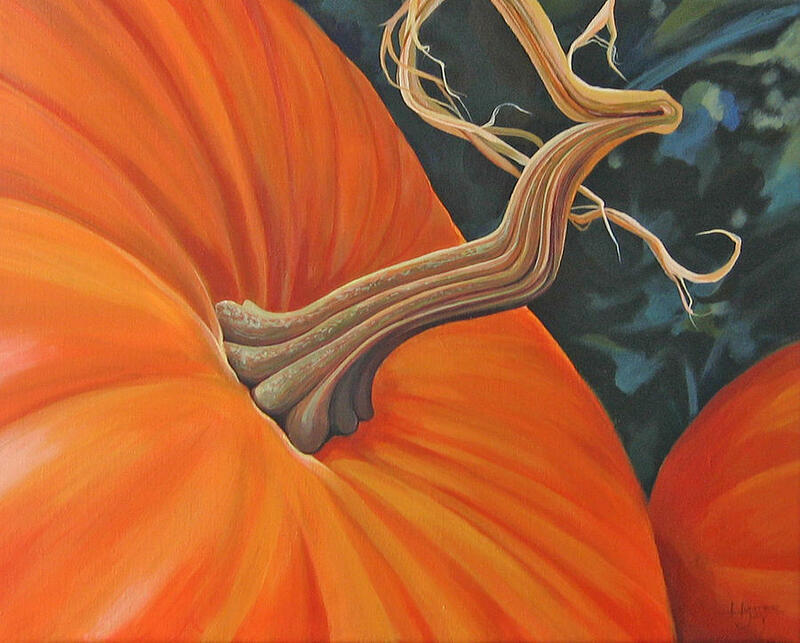 Exuberant Pumpkin is a painting by Hunter Jay which was uploaded on September 13th, 2007. This painting took on a life of its own as I was working on it. The composition I wanted was simple; almost too simple. The strong diagonal line was de-emphasized by the swirling vine and the smaller pumpkin in the background. Thanks, Dena. The directional lines were at first quite a problem. I had too strong a diagonal with the main pumpkin. I softened it by adding another in the background and then playing around with the stem of the pumpkin.